Regal and uncomplicated, the Hexagon Pommel Medieval Sword resembles the mighty blades of ancient warriors. This historical decorative weapon is made of stainless steel and comes with a wooden wall plaque for easy display. The 440 steel blade features a central ridge down its length that ends before the ricasso, near the subtly curved, brass tone crossguard. The grip of the sword appears wire wrapped, creating a textured hold for its wielder. Shaped like a flat hexagon, the brass tone pommel finishes off the sword in a clean, austere manner. 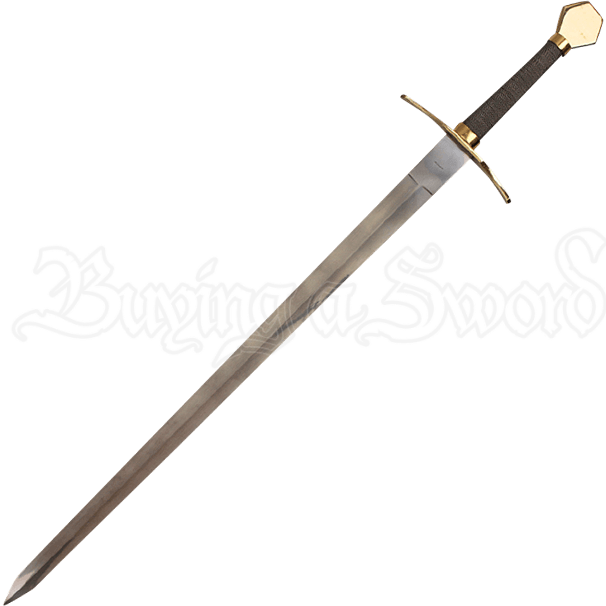 The wooden wall plaque makes displaying this replica blade a breeze. 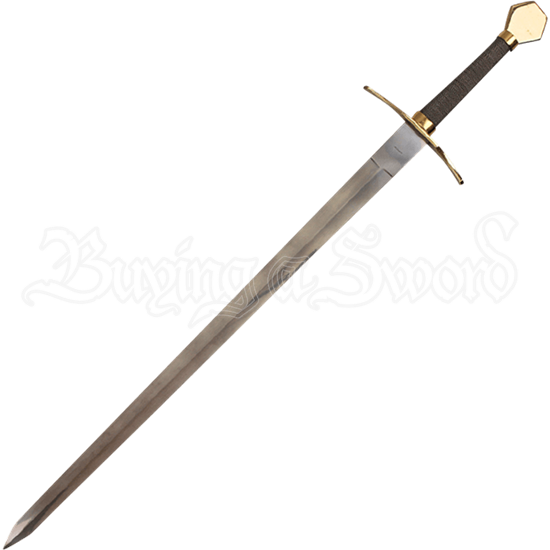 Ideal for sword collectors, this historical display weapon makes a great gift or decoration for the home.